Home Headlines UPDATES: Zakzaky’s Top Men Give Conditions For Peacers. 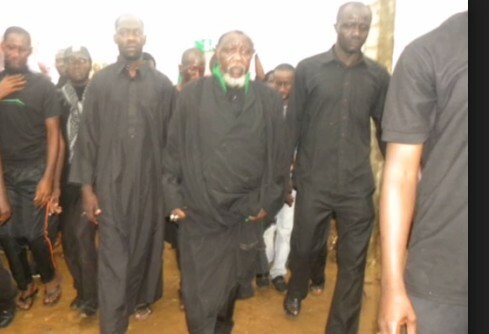 UPDATES: Zakzaky’s Top Men Give Conditions For Peacers. Leaders of Shia Islamic Movement of Nigeria have itemized five conditions for possible truce, chief among them is the immediate release of their spiritual leader, Sheikh El-Zakzaky, from military custody. The sect also insisted the killing of its members by soldiers in Zaria, Kaduna State, was unprovoked. The group, which claimed that more than 300 of their members were shot during the Saturday and Sunday showdown, said it could not account for most of their corpses till date. While addressing journalists in Abuja, the group’s Media Forum Secretary, Abdulmumin Giwa, and Yola leader of the movement, Abdulrahman Abubakar, said they had incurred both human and material losses as a result of the clamp down on them by soldiers. Giwa said since the Saturday incident, their members have continued to suffer more deaths with the Tuesday incident when men of the Nigerian Police Mobile Force attacked their members and killed four. According to him, "later in the night, the army went to Gellesu residence of leader and opened fire on our members, including our leader, Sheikh El-Zakzaky, and three of his children. More deaths were recorded there; in fact the death toll was four times more than what was recorded at Husseiniyya." He claimed that most of the dead bodies were evacuated by the army and taken to unknown places. The two spokesmen of the group said El-Zakzaky had called some of the members shortly before soldiers picked him up, to tell them that he sustained bullet injuries in his eyes and in his right shoulder. “He informed his only surviving son that he was bleeding profusely and that the corpses of his three sons: Hamad (18), Ali (16) and Humeid (13) were lying dead in front of him at the time the soldiers were shooting into his home,” said Abubakar, the Yola leader of the sect. But the Army has released a video clip detailing how soldiers in the convoy of Chief of Army Staff, General Tukur Buratai, pleaded with members of the Shia group to remove barricades but they refused.